So, let’s first review some basics about antitrust. We’ll next describe the recent trends in company sizes and seller concentration. And we will then move on to the relevance of antitrust for the financial sector. There are three basic strands to modern American antitrust. At the outset, it’s important to note that none of them is directly concerned with the absolute size of companies; modern antitrust is about the exercise of market power, and there is no necessary connection between size and market power. The first strand is the ban on price-fixing among competitors. This prohibition began with the world’s first antitrust law: the Sherman Act of 1890. Price-fixing is a per se offense: if Department of Justice (DOJ) prosecutors can show that it is occurring, they need not demonstrate the extent of its effects. And it is a criminal, felony offense: company officials go to jail for participating in cartels, and their companies are subject to substantial fines (as well as treble-damages lawsuits by injured parties). There is little political disagreement about the importance of this strand of antitrust. The second strand involves mergers: the Clayton Act of 1914 forbids mergers where the effect “may be substantially to lessen competition, or tend to create a monopoly.” Most mergers are competitively benign: when Alice’s Coffee Shop merges with next-door Joe’s Gasoline Station, the transaction won’t affect competition among eating establishments or filling stations. (But A+J’s proposed billboard—“Eat Here and Get Gas”—may need some tweaking!) However, the DOJ and the Federal Trade Commission review a relative handful of mergers every year that may potentially impair competition. For example, the DOJ is currently reviewing the proposed merger of Sprint and T-Mobile. Critics of recent antitrust enforcement believe that the enforcement agencies have been too lenient in allowing market-power-enhancing mergers. whether there are “cognizable” efficiencies that would occur solely as a consequence of the merger and that could offset the effects of an increase in market power. The third strand of antitrust focuses on monopolization: efforts by individual incumbents to enhance their market power through means that have little-or-no efficiency benefits. These include predatory efforts: to drive rivals out of the market through extended periods of low prices (that are then followed by substantially higher prices); or to exclude rivals from access to crucial supplies of inputs or channels of distribution, allowing the incumbent to raise its prices. These offenses are covered by the Sherman and Clayton Acts. Three criteria are crucial for enforcement in this area: establishing that the incumbent already has market power, determining that its actions are sufficiently restrictive or predatory, and confirming that efficiency offsets are absent. Note that in this third case the potential offense is “monopolization”. If a firm arrives at a dominant position in a market through having a superior product or superior production or management capabilities—through “superior skill, foresight, or ingenuity,” to paraphrase an important antitrust legal decision—this would not be an antitrust offense. After all, in a markets-oriented economy, the goal is to encourage firms to develop better products and improve efficiency. It would surely be counter-productive to penalize people when they succeed. Nevertheless, one important critique of recent antitrust policy is that it allows firms, such as Amazon, to become too large and too dominant, even in the absence of any predatory or exclusionary actions. This nicely leads us next to a brief assessment of current concentration levels and recent trends. As previously mentioned, concentration levels are rising in various sectors of the U.S. economy. However, traditional measures are usually for broad sectors—such as “transportation and warehousing” or “retail trade” or “finance and insurance.” These categories are far too expansive to be useful for delineating relevant antitrust markets within which market power could be or is already being exercised. Similarly, these measurements are often at the national level, while relevant antitrust markets may well be local, regional or international. In either case, commonly used data aren’t very informative for ascertaining the state of competition. Banking provides a useful example of the disconnect between national data and relevant local markets. The total number of commercial banks in the United States has shrunk by over half during the past four decades. During this same period, the shares (typically measured by assets) of the largest few banks have risen. Figure 1 provides a good representation of this rising national concentration. But, for banking products such as deposits and loans to small- and medium-size enterprises (SMEs), the relevant markets are far more local: metropolitan statistical areas (MSAs) for urban areas, and counties for rural areas. But at these local levels, Figure 2 shows that concentration has actually declined since 1980! Note: The measures are Herfindahl-Hirschman indexes (HHI), a widely used concentration metric. The HHI sums the squared market shares (expressed as percentages) of all the firms in a relevant market. Source: Federal Reserve Board; data provided by Robert Adams. These national banking data illustrate an additional shortcoming of many of these studies that show rising national concentration. Even if the national data were representative of a relevant market, no modern antitrust enforcer would believe that she could establish the presence of adverse competitive effects in a circumstance where the largest five firms account for only 45% to 50% of that market. And some of the studies of rising concentration show data for the largest 50 companies—a class so numerous that it would be highly unlikely to present a serious oligopolistic problem in any market. But what about aggregate concentration across the entire private sector? Although this measure has no connection to antitrust, it is often the subject of related discussion. Here the data—one version of which is seen in Figure 3—show a sharp decline in the early 1980s, a leveling between the mid-1980s and the mid-1990s, and a modest rise since then. Although these data are at odds with the popular impression that the largest companies in the United States sharply increased their importance in the past decade or two, there are other dimensions of “importance.” For example, Facebook employed only 12,691 employees in the United States at year-end 2015, while Walmart employed over 1.5 million. Which is the more important company from a “significant-for-the-country” perspective? Note: The data are based on Forbes, Fortune and the Statistics of U.S. Business (compiled by the U.S. Bureau of the Census). Source: White and Yang, “What Has Been Happening to Aggregate Concentration in the U.S. Economy in the 21st Century?” March 2017. Finally, we turn to the financial sector. As we noted above, regulation of all kinds—prudential regulation, information regulation, consumer protection regulation, entry regulation, and even some price regulation—generally overshadows antitrust. But the Sherman and Clayton Acts do apply to banks and other providers of financial services (with the notable exception that insurance companies have a partial exemption and are regulated by the states). Similarly, the DOJ reviews all major mergers among financial services firms (for bank mergers, they are joined by the Federal Reserve). Most such mergers are benign. However, if two merging banks have overlapping branch structures in highly concentrated local markets, officials will insist that enough of those branches be sold to smaller rivals (or to new entrants) to restore the (lower) pre-merger level of concentration. And, in the health insurance industry, in 2017 the DOJ successfully challenged the proposed mergers of Aetna and Humana and of Anthem and Cigna. There are two additional areas of competition (and antitrust) in the financial sector that are worth discussing: First, there is the perennial argument that “excessive” competition in financial services will lead intermediaries (e.g., banks or insurance companies) to make risky loans and take other risk-prone actions that will put their solvency at risk. Conversely, when competition is restrained (say, through restrictions on entry or through price regulation), the firms earn higher profits and are more reluctant to put those profits at risk by taking risky actions. These arguments were prominent following the banking collapse of 1929-1933 and led to higher entry barriers that lasted until the 1960s. They also were used to justify the legislatively mandated “Regulation Q”, which placed ceilings on the interest rates that banks could pay to depositors from 1933 until 2010. Claims that competition encourages risky behavior do still occasionally surface in the United States and more often abroad, and there is a kernel of truth in them. The discounted present value of those higher profits arising from increased market power are effectively additional capital for the financial institution. 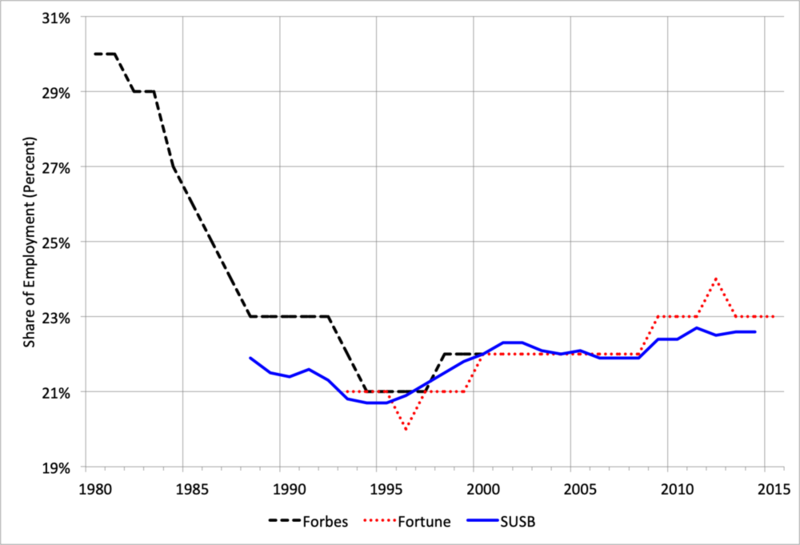 Even if the higher profits are immediately paid out to the owners (and thus there is no additional net worth buffer on the institution’s balance sheet), the prospect of future such profits should discourage some risk-taking. Put differently, reduced competition adds to the institution’s franchise value. However, this is a “back-door” or “second-best” approach to the prudential regulation of these institutions. First-best is to use the modern tools of prudential regulation—risk-based capital requirements and liquidity requirements; risk-related activities limitations; and effective monitoring of the institutions—to address these risk-taking issues and thereby avoid the inefficiencies and impediments to innovation that entry restrictions and price controls inevitably bring. A second issue of much more recent origin is common shareholding. A lively debate among academic economists and lawyers, as well financial markets practitioners, focuses on the following argument: suppose that a large institutional investor owns shares in each of the major companies in an already concentrated industry (e.g., airlines). In that event, this “common ownership” signals to the senior managers of these companies that they should compete less aggressively. This lack of competition boosts profits, increasing the returns for their common owner. This problem is exacerbated if there are multiple such common owners. In sum, antitrust is in the air, with important implications for the wider U.S. economy, as well as for the financial sector specifically. Stay tuned! Note: Professor White's previous guest post was In Defense of Regulatory Diversity. In 2018, Oxford University Press published the seventh edition of his co-edited (with John Kwoka) landmark, The Antitrust Revolution: Economics, Competition and Policy.